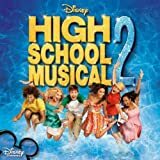 You are the music in me – Paroles de la chanson dans “High School Musical 2”. You are the music in me. Na, na, na, na, yeah. You know the words “once upon a time”. There’s a change you’ll find. And like a common thread. When I hear my favorite song. I know that we belong. Oh, you are the music in me. Yeah, it’s living in all of us. And it’s brought is here, because. Because you are the music in me. Na, na, na, na, oh. Na, na, na, na, yeah, yeah, yeah. It’s like I knew you before we met. Can’t explain it, oh, oh. There’s no name for it. I’ll saying words I never said. Cause you see the real me. That’s more than I’ve never known. Oh no, I’m not alone. Oh, you’re singing to me. Oh, oh, you are the music in me. It’s living in all of us. And it’s brought us here, because. Together we gonna sing, yeah. We got the power to sing. Can’t keep it all inside, oh. Na, na, na, na, oh yeah. I know that we belong, we belong. Yeah. it’s living in all of us. It’s brought us here, because. You are the music in me (reprise). Interprétée par Ashley Tisdale et Zac Efron. Na, na, na, na, na, na, nah, you are the music in. Na, na, na, na, na, na, nah. You are the music in. Make you listen, there’s a reason. When you dream, there’s a chance you’ll find. A little laughter, or happy ever after. it’s echoing inside my head. Nah, nah, nah, you are the music in. Na, na, na, na, na, na, nah, you are the music me.